We are right in the middle of the Easter holidays and I’ve lost count of how many times I’ve heard ‘I’m Bored’. So in between working and the usual Mum juggle, I have been planning days out. The 3 youngest kids are super excited about Easter this year. 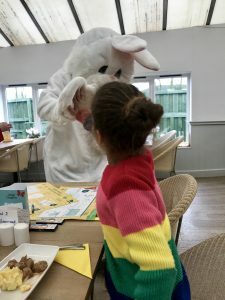 Last Friday we went to Tea with Easter Bunny at Wyevale Garden Centre Swindon. Here are our thoughts on the event. When we arrived we were welcomed by the Mad Hatter and were offered hot or cold drinks. Once everyone had arrived for the tea we confirmed our food orders, which we had chosen when booking. The kids coloured and filled in their activities sheet before the food was served. 2 of the children chose Chicken Nuggets and chips, whilst one chose sausage and mash. The portion sizes and quality was good. I opted for Afternoon Tea (not ideal for my diet, oops!) it was very generous with sandwiches a large scone and several yummy sweet treats too. Once the kids had eaten there was a bit of a sing-song, before the Easter Bunny arrived to meet the kids, high fives all round! 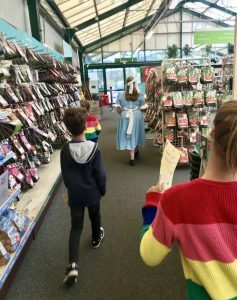 We then headed around the garden centre on an Easter Trail with Alice, The Mad Hatter and The Easter Bunny to find the hidden eggs. Aliza, 5 loved this and was desperate to be the first to spot them. Once all the eggs were located and stamped off their trail sheets, we headed back to the restaurant area. But on the way we stopped at the pet shop within the centre, to see real-life crickets. Faryl, 8 loved seeing them hopping about in their container. Back at the restaurant, they receive a chocolate chick that we could take home and decorate. All the icing and sprinkles were included in the pack. 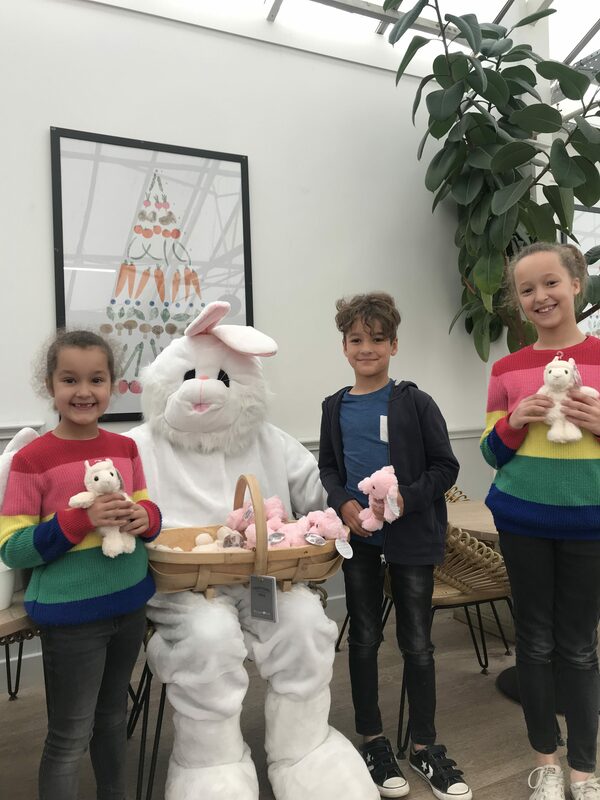 Then finally they had a photo opportunity with the Easter Bunny whilst they got to choose a cute cuddly toy to take home. I was an afternoon well spent and the kids enjoyed themselves. 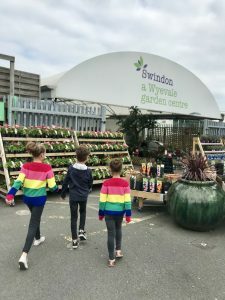 Wyevale have over 100 Garden Centres nationally. You can choose to have Breakfast or Tea with the Easter Bunny at your local one. It is very good value for £10.95 per child and £8.50 or £5.00 for adults depending on your food choice. These events run up until 28th April and can be booked directly via the Wyevale website. Disclaimer : We were offered tickets for the Easter Bunny Tea in return of an honest review.